These distinctive cufflinks, featured on the Fall/Winter 18 runway, take inspiration from the iconic architecture of New York. 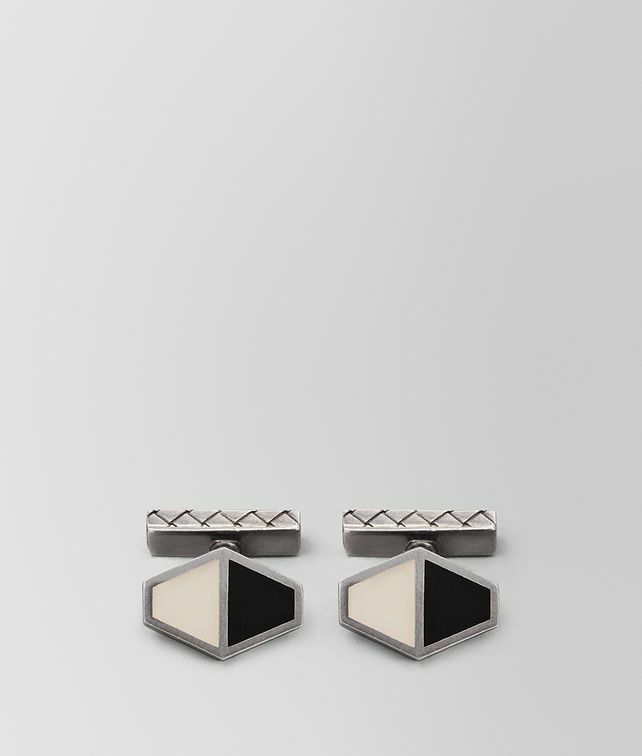 The angular Art Deco design is crafted with black and white enamel and sterling silver. The silver posts are finely engraved with the intrecciato pattern.